The Minnesota courts are poised to follow the lead of the federal judiciary by putting vast amounts of individual case records online. This is welcome and long overdue, and will increase people's access to the courts by allowing them to view lawsuits, criminal complaints and other records over the internet. Currently, you have to go to a Minnesota courthouse to see these documents, and often have to pay $10 or more per document to get a printout. On Tuesday, the Minnesota Supreme Court's seven justices held a hearing on the digital records plan. It seems that every government records issue that I encounter these days brings up the never-resolved conflict protecting privacy versus ensuring accountability through access. Those were the considerations for the proposal for four levels of records access, as described by Hennepin District Chief Judge Peter Cahill. 1. Child in need of protective services (CHIPS) petitions, juvenile delinquency records: No online access, available at courthouse only. 2. Civil commitment cases: Only case history available online, records available at courthouse. 3. Family and paternity cases (post-adjudication): Case history and court-generated records available online, filings from parties at courthouse. 4. 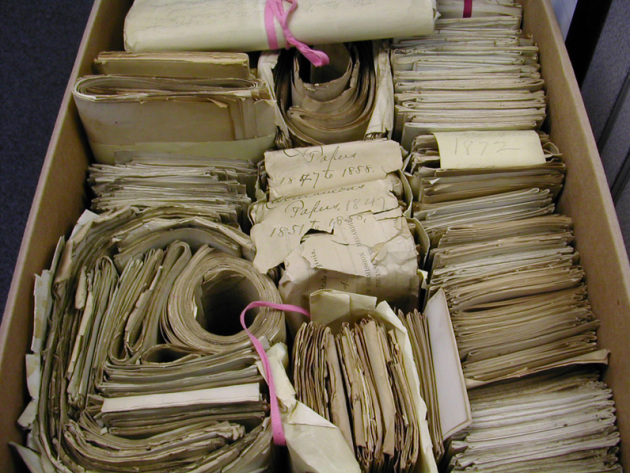 Civil records, post-conviction criminal records: Case history and records available online. Data miners also emerged as bogeymen in the issue that dominated discussion Tuesday. It's a topic that I already fulminated about in January: A recommendation to seal off two categories of child protection records from public view, out of concern that they will otherwise be malevolently bandied about the web. Washington County District Judge John McBride presented that proposal to the justices, saying that redacting confidential information from those records was, at the moment, logistically impossible. McBride said that "bullies at school, bullies across the street and future employers" could easily locate and misuse these sensitive records, compounding the negative consequences of child abuse. Six speakers argued in favor of keeping those records public. Those included Star Tribune reporter Brandon Stahl, who used them in his 2014 investigation of child protection failures, and Hal Davis, a Pioneer Press editor and board member (as I am) of the Minnesota Coalition on Government Information. Canan Karatekin, a professor in the University of MInnesota's Institute of Child Development, described how she used those records - reports from guardians ad litem and social workers - to study the effectiveness of child protection. Without them, citizens can't hold the system accountable, she said. "Lack of accountability is not in the children's best interest," Karatekin said. After the hour-long hearing, Supreme Court Chief Justice Lorie Skjerven Gildea said the court will issue its order on public access "in due course."